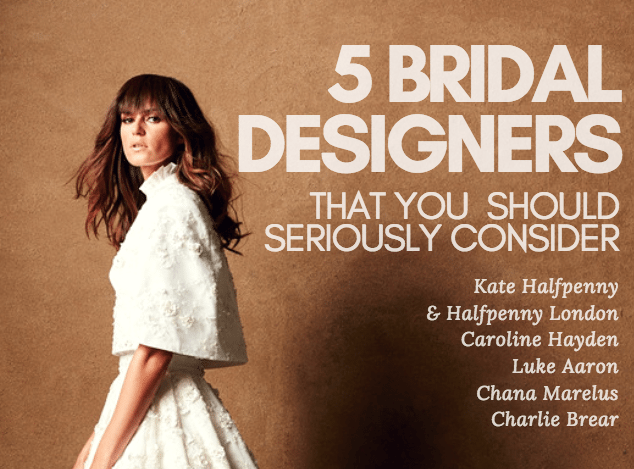 Even though you may have not heard of these bridal designers yet, they’re worth getting to know and taking a peek at their collections. Not only will you fall in love with their fresh innovation but they’re taking the wedding world by storm. Kate Halfpenny created the brand, Halfpenny London. 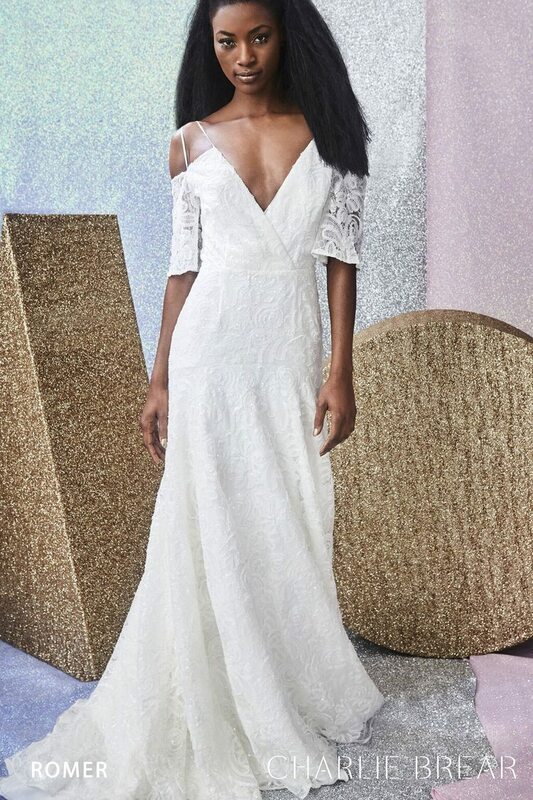 With inspiration from vintage flavors and a goal to keep real women’s bodies in mind, her gowns are meant to be styled for each, individual bride. Separates and layers can be mixed and matched to create looks that are original and unique for each woman. It’s an innovative way of creating a bridal day look and one that truly fits all shapes and sizes. This Minnesota-based designer launched her first collection in the fall of 2016. Designing evening wear for a decade before making her own debut, she had the experience to back up her own finished products and she certainly delivered. Production for her designs are done in California and all garments are offered in silk white, ivory, as well as the occasional black and claret. 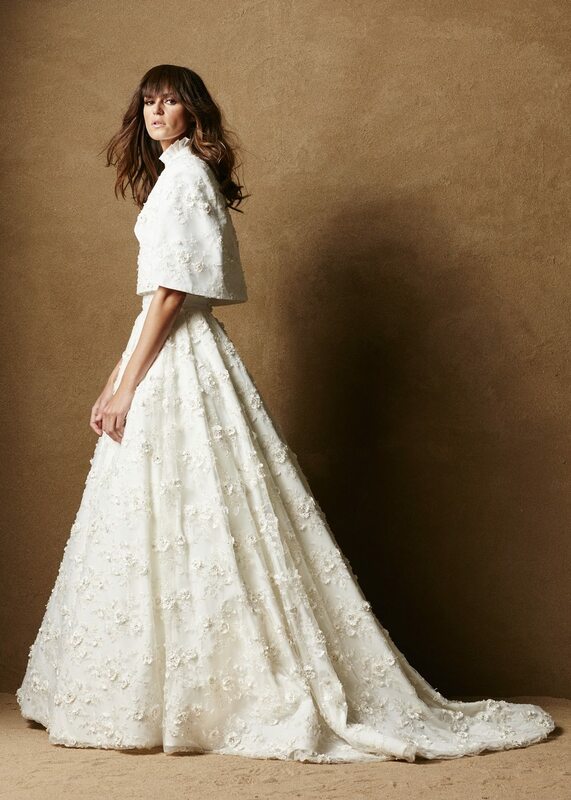 A rising star out of Boston, Luke Aaron is sashaying into the bridal world with elegance, sophistication, and newfound bouts of inspiration. Taking classic silhouettes and developing a personalized spin on the tradition, he’s becoming known for telling a story within his designs. 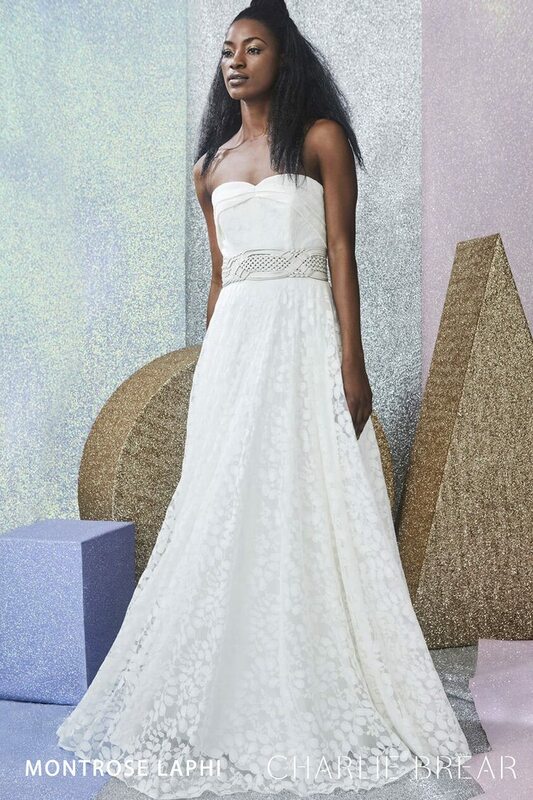 For contemporary brides that are fashion-centric, this is definitely the first spot to take a look at. Chana Marelus is an Israeli designer that focuses on the modest bride. Turning full-coverage gowns into true works of art, her designs are all about the embellishments. There’s quite the array of colors to test and try on as well. Intricate beadwork, interesting silhouettes, unbelievable, fantasy-like textures, and more are what conjure up these artistic creations. A British brand that offers luxury bridalwear, Charlie Brear started her career over 10 years ago when she stumbled upon some vintage wedding gowns and fell in love. Contemporary styling, eclecticism and artistry are just some of the words used to describe the pieces in her collections. Every gown under the brand is designed and finished in London and its gowns are stocked in around 60 boutiques worldwide.